I've been commenting for a few months that global liquid fuel production doesn't seem to have continued increasing in 2012. I've now updated my graph above with the latest data. 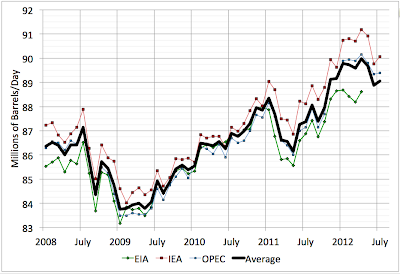 OPEC has revised down their numbers for June significantly and both the IEA and OPEC show very slight increases in July relatively to June. The overall effect is now that production appears to have fallen about 1mbd in June versus the plateau level that obtained from January to May, and has not recovered in July. Prices rebounded slightly in June - but nowhere near the level of earlier in the year. 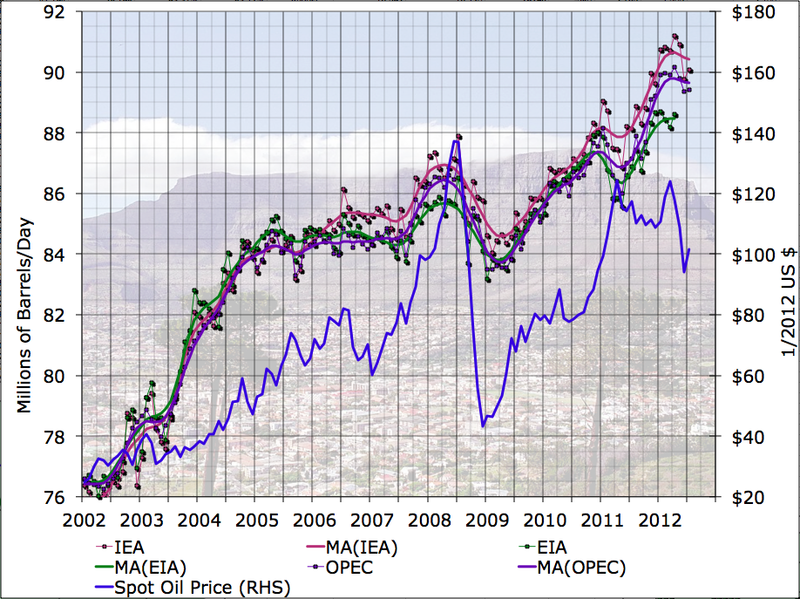 A question, Stuart, any ideas why the EIA/IEA discrepancy? 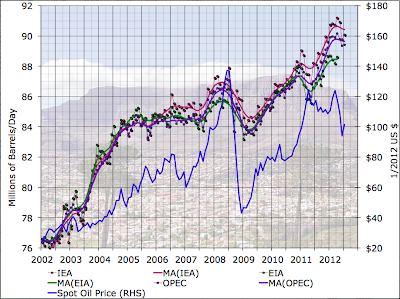 Starting to loook like an ironic twist of the WTI/Brent spread! They both used to be much more tightly correlated.